When we compare the older times with the present time, there has been a considerable change in the world of trade and commerce. Electronic commerce has expanded its wings everywhere. Apart from this, there has been a revolutionary shift in the exchange and payment methods. It all started from the barter system followed by the coin system. Then came the currency notes and cashless payment options like cards or other electronic payment methods. Cashless payment options are highly popular with today’s generation. So, in the present time, any business must have systems in place that can accept cashless payments. The card reader is one of them which is most popular among the merchants. Today most of the businesses use Electronic Fund Transfer at Point of Sale (EFTPOS) machines. Many private banks also offer this facility. For example, EFTPOS machines registered to banks are common in Australia. But Mobile Point of Sale (mPOS) or Mobile Card Readers are also becoming extremely popular. A Mobile Card Reader is hardware you can connect to a mobile phone or tablet. This hardware converts the smartphone or tablet into a card reader. Cost-effectiveness is the main reason why these mobile Card Readers are better options when compared to a conventional EFTPOS Machine or a PC EFTPOS. In other words, EFTPOS Machine Cost is high as compared to a Mobile Phone Card Reader. If you are using an EFTPOS Terminal, you will have to pay the establishment fee. The merchant will have to bear other costs like the transaction fees, merchant fees, and a monthly rental of the EFTPOS hardware. Apart from these fees, as the owner of a business, there is also an annual fee that you will have to pay. In case of a Mobile Card Reader, there are still some fees that you need to pay, but they are less as compared to a traditional EFTPOS device. Let us dive deep into the sphere of Cellular Card Readers and understand its advantages and disadvantages. 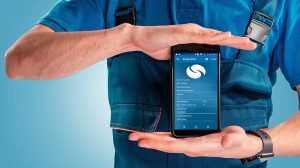 In the dynamic world of commerce and trade, customisation is a feature that can make a device unique and compelling. These card readers are easy to customise. You can adjust the pricing structure based on your requirement. A high fee related to any hardware or device impacts the bottom line of business. The Cellular Card Reader System offers you an opportunity to fix up a flat fee rate. A flat rate always helps if your business grows in volume in future. What could be better than your mobile phone getting converted to a card transaction machine? As compared to traditional card readers, it is less bulky and easy to carry. A secure payment system increases the credibility of your business. 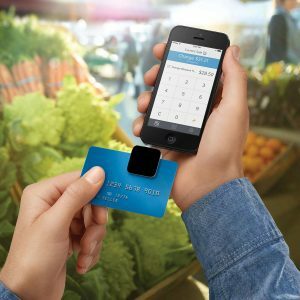 If you are the owner of a small-scale business and you do not have enough funds to support a portable EFTPOS Machine, you can go for a mobile Card Readers. It is a sought-after practice in Australia these days. There are many vendors and service providers in this field. One of the well-known players in Australia is Safe2Pay. It is a smart device that helps the merchandizer in maintaining records of transactions. The business owner can also extract financial reports as and when required. Thus, it acts a complete bookkeeping solution. The system is fast, and there are hardly any cases of transactional glitches if the internet connectivity is good. Moreover, the financial transactions carried out by Mobile Credit or Debit Card readers are very safe and secure. The Mobile Card Readers support multiple user accounts. You can create individual accounts for all your employees. Everything has two aspects – the advantages and limitations. We have already gone through the benefits of using a mobile Card Reader. Now, let us discuss its downside. Some of the card readers are platform specific. So, if a reader is compatible with Apple platform, the merchant must have an iPad or an iPhone. Thus, this at times imposes certain limitations. Some of these devices do not allow manual entry. So, it becomes difficult to enter any cash transactions. Thus, the report generated by the system will not give you an accurate picture of the financial operations at any point in time. The fees associated with mobile card readers are lesser as compared to the traditional EFTPOS system. However, some of the service providers charge transaction fees for each transaction along with the monthly fee. This fee structure becomes expensive for the user. So, you must carefully choose the vendors who provide a flat fee option. Some of the readers support specific types of printers. It creates an inconvenient situation for the merchants. They must invest in specific printing devices. Thus, it no more remains a financially viable solution. Both technology and commerce domains are changing at breakneck speeds. To be competitive and stay agile in the market, business owners must catch pace with the fast-paced technological transformations. Using mobile phone/s as a card processing terminal is becoming a widespread practice in Australia and across the globe. As compared to the traditional EFTPOS devices, it is cost-effective, easy to install and use. Most of the small business owners are buying into this idea. It is also popular among the freelancers and big establishments because of its advantages. Although it has a few shortcomings, you can do away with them by liaising with the right service provider and choosing the best device for yourself. The dynamic and competitive business era demands flexibility, security, and easy accessibility. An EFTPOS Card installed in your cell phone or tablet meets these business demands as well.